While traveling, Chrissy Teigen and John Legend have just one essential: 16-month-old daughter Luna. On a break from the road, the spokeswoman for McDonald’s McDelivery partnership with UberEats gave Us a backstage pass. Us Weekly: What’s a typical day like? 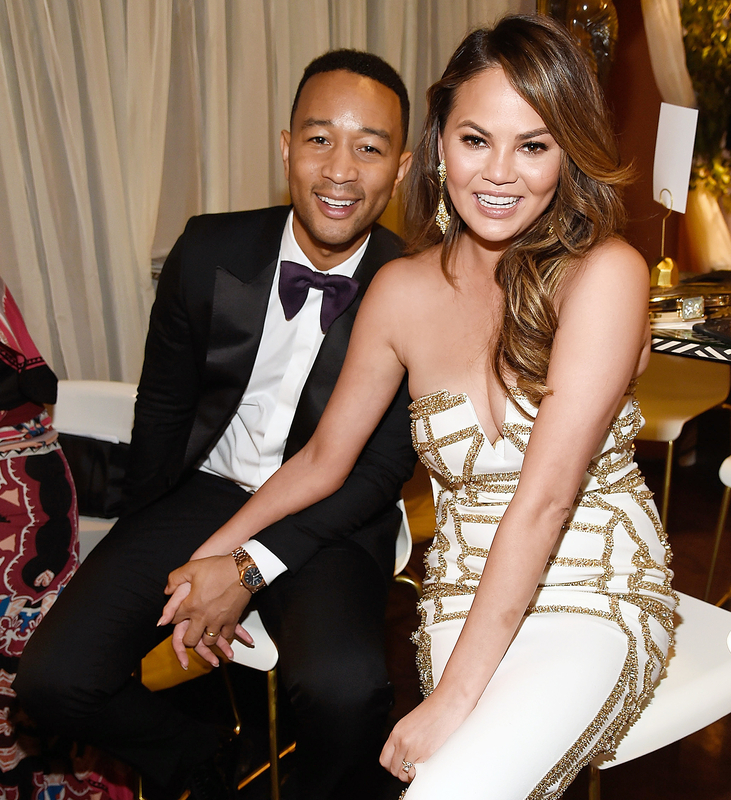 Chrissy Teigen: Oh my gosh, we’re always on the bus. Luna loves her car seat. She points at everything like, “Trees!” That leaves us to take a breather. It’s a lot of watching movies and binging Handmaid’s Tale. Us: Hardest part about traveling with a baby? CT: Definitely flying. We try to avoid it. She just did a long flight from Bali and nailed it — on the way home. On the way there, I was going to have a panic attack. Before I had kids, I was hyperaware of them crying. So I feel like I know when it’s too loud. I get up and apologize. But kids are going to be kids. They’re going to scream. I’m never going to be the parent pretending my kid is not doing that. Us: What must-haves do you pack for her? CT: She overpacks! Basically if she has her ba-ba and her lovey that goes over her face when she sleeps, she’s set. She has her colors book, her animal faces book, her Sesame Street bath time book. John and I memorized all those songs, like “Rubber Ducky.” She will play the same one over and over. It’s always the Elmo one. Luna Stephens, Chrissy Teigen and John Legend’s Little Girl: Her Cutest Outifts! Us: Big Sesame Street fan? CT: At this point, she just loves Elmo as a person. She has no idea that Elmo is on TV. But John has done a couple Sesame Streets and I can’t wait for her to see. When she sees Elmo on TV with Dada, it will be a big moment. Us: While John’s performing, do you and Luna watch from the wings? CT: It can be too much for her. She gets pretty overwhelmed. We tend to stay in the soundboard. And it’s also bedtime — she’s only seen a few shows. Us: When you do have downtime, do you explore? CT: We love hitting up local aquariums, education centers and museums. She’s still so young but I want to go! I drag her around. It’s fun to look up activities or tweet and ask for things to do. I get great answers! Us: OK, be honest: Is she more like you or John? CT: Me! She’s sassy. We team up against John. He likes that she’s a strong young girl. She’s also very sweet and caring. If she sees somebody hurt, she’s the first to run over. Us: With so much going on, how do you and John squeeze in alone time? CT: Honestly, it’s pretty simple. My mom lives with us. If we ever want to go on a date, which is rare because Netflix is killing it with the shows, then we do it. But we also just love cooking dinner. That time is easy and natural. We really don’t have to schedule it in or fight for it.